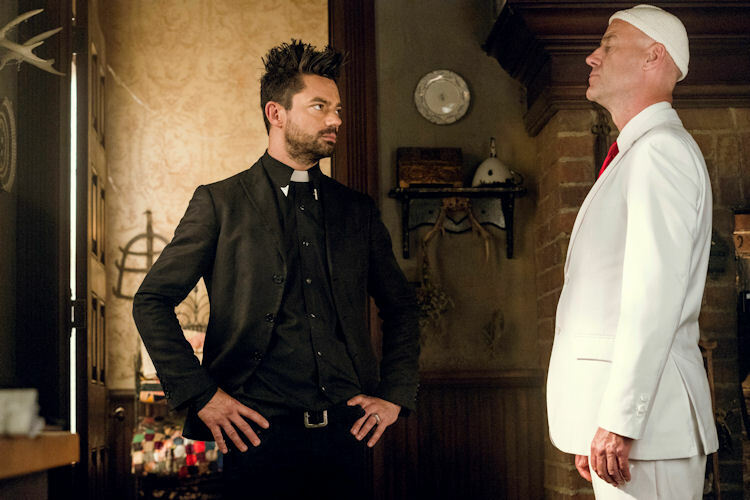 It took the shocking twists of Episode 7 to realize that Preacher had spent more than half of its season order and didn’t do a whole lot. It’s probably not quite fair to phrase it that way because in retrospect, the show has done an awful lot of world building this season. Jesse’s grandma and the whole Angelville gang have been established, the Grail has gone through changes, and Cassidy needed to first get in trouble, then be exiled to New Orleans where he meets his gaggle of wannabe vampires. Like some version of the board game Mousetrap, the show has cobbled together an elaborate device out of seemingly incongruous parts and this week, finally got the go-ahead to turn the crank. The cold open once again centers on the Saint’s quest to collect the escapees from Hell. For the first time this season we meet Hitler, or “Dave Hilter” in disguise. He’s carved out a nice little niche for himself being the go-getter top employee of a Subway knockoff. He slings subs, covers for his boss, and inspires his fellow wage slaves while on break. … That is, until The Saint darkens the shop’s door with Eugene in tow. 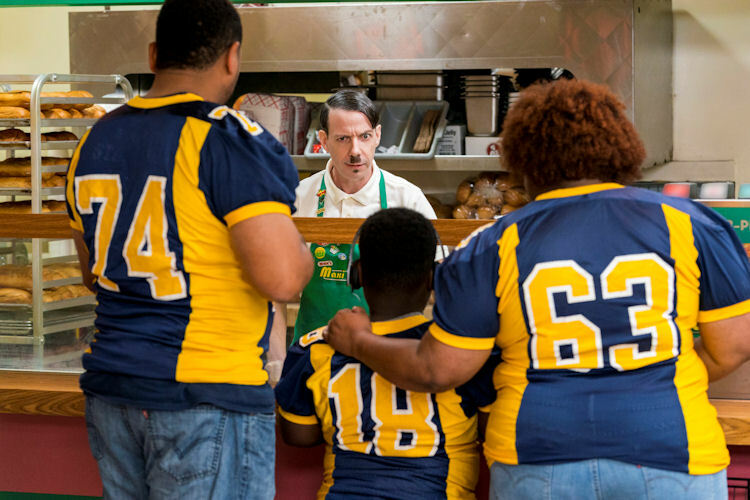 Hitler tries to bargain his way out of the jam he’s suddenly in, but goes quietly after the Saint kills the manager as easily as swatting a fly. This trio is last seen trudging across a levee on their way back to the underworld. Cassidy has begun to embrace life with Eccarius and his pack of wannabe bloodsuckers. Deep down Cassidy is lonely and craves a new audience. He gets both with this group. Eccarius has taken a shine to Cassidy, whom he starts teaching flight, shape-changing and mesmerizing. Cassidy returns the favor by introducing his fellow vampire to the joys of absinthe and general substance abuse. The Grail’s Hoover has been tasked with recapturing Cassidy, and enlists the help of some vampire fighting Catholic clergy. Eccarius and Cassidy are ambushed by the priests and nuns but thanks to his built-up tolerance to tranquilizers, Cassidy saves the day, and the unspoken attraction between Cassidy and Eccarius is finally realized with a passionate kiss. Of course we find out that Eccarius isn’t all he’s cracked up to be. Those fledgling vampires he supposedly releases into the world to form new covens and provide a haven for other vampires, never make it to the airport. Instead he feeds on them, and hucks their carcasses to burn in the daylight near the railroad yard. His last victim was the young woman who recruited Cassidy into the group. We’re left with Eccarius cuddling a none the wiser Cassidy in a coffin and unsure if Cassidy is seen as a lover or a future bedtime snack. This has been a fun relationship to explore and they, along with Jody, are thrown together to steal some stored souls in Japan. Of course, they are at each other’s throats the whole time, each doing their duty for the men they love. 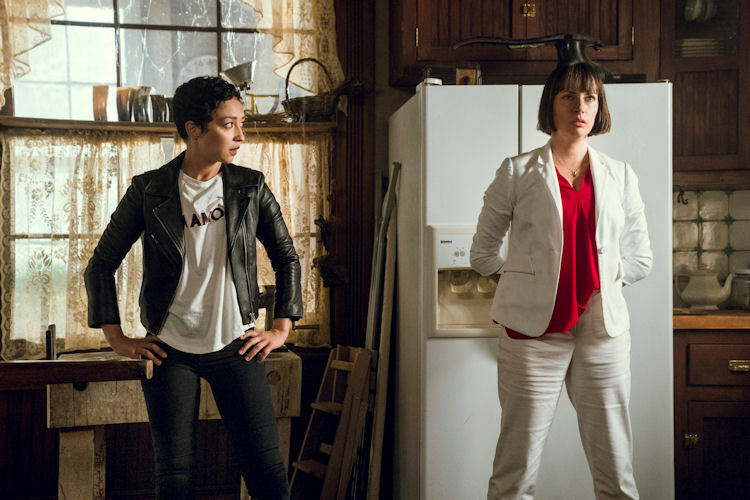 However, one gets the feeling that Tulip and Featherstone are going to realize they have more in common than they first thought, and heaven help Jody when they do. Madame Marie’s unquenchable thirst for souls has set all of this in motion. Starr has a schedule to keep and Jesse wants his soul back, so they both bargain with her to get their needs met. Marie is initially hesitant to let Jesse go; he relents after the promise of a cache of souls from Japan, and Jesse’s return. Starr escorts Jesse to the Grail offices in New Orleans, and his first duty is to kill the mammoth Allfather and stop his plans for Armageddon. The kicker of the episode is that TC isn’t as dumb as he looks, as he asks Marie about Genesis after Featherstone lets it slip during a verbal sparring match with Tulip. 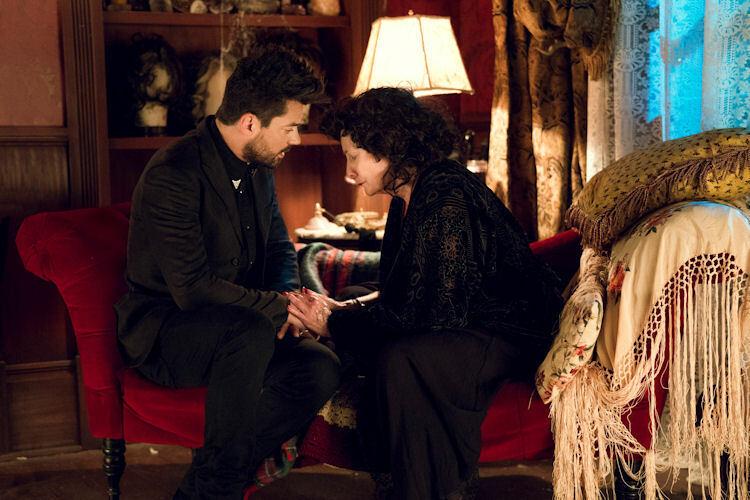 Now that the episode count has dwindled and the many intricate pieces have been set in motion, Preacher is exciting again, in a car crash you can see coming kind of way. The final three episodes of the season should be a load of fun.